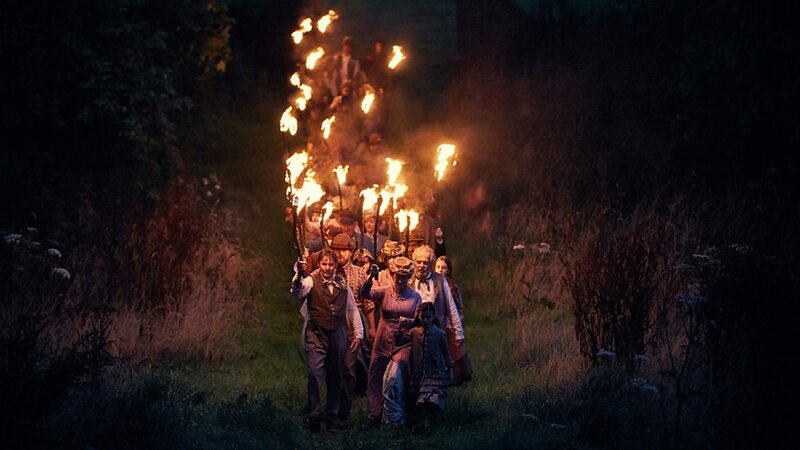 You don’t have to dig too dig to find the pagan roots in rural England. It might look like All Creatures Great and Small on the surface, but it’s The Wicker Man underneath. At least such is very definitely the case on Nathan Appleby’s ancestral estate. 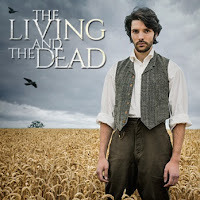 He has just moved back with his second wife Charlotte in hopes of starting a new family, but their plans will be jeopardized by a malevolent force in creator-screenwriter Ashley Pharoah’s six-episode limited series The Living and the Dead (trailer here), which premieres this Thursday on BBC America (who will release all six episodes on their app the following day, for Halloween binge-watching). Nathan Appleby is a Victorian psychologist, who always believes there is a scientific explanation for all of life’s mysteries—or at least he used to. He has not spent much time on the estate since his son Gabriel’s drowning accident. Appleby never really got over it, nor has he ever pretended otherwise, yet the headstrong Charlotte Appleby married him anyway. Despite their lack of experience, she convinces him to maintain the estate as a working farm. However, this may very well be a costly decision. As soon as the Appleby power couple takes charge of the farm’s management, a rash of mysterious accidents rocks the tight-knit community. Perhaps most disturbingly, Rev. Matthew Denning’s daughter Harriet starts presenting signs of spiritual possession. Trusting in his science, Appleby starts treating the young woman, but a session of hypnotism is less than reassuring. There may or may not be several spirits haunting the villages, including that of a notorious unbaptized serial killer and a traditional healer unjustly drowned as a witch. Frankly, the village has no shortage of bad karma, going back to an especially bloody Roundhead atrocity during the English Civil War. The hauntings hit close to home, when Charlotte detects the presence of Gabriel’s own ghost, but his intentions are far from clear. Most maddeningly for her husband, his late son will not materialize in his presence, but he keeps seeing visions of what appears to be a woman from our era holding an iPad. Despite some weird time-shifting business, L&D is definitely a supernatural drama, with pronounced Gothic inclinations. Thanks to the tight, tense helming of Dr. Who director Alice (no relation to Patrick) Troughton, each instalment delivers a high quotient of chills, with the penultimate fifth episode qualifying as pretty darned terrifying. We definitely get a visceral sense of an infernal power corrupting the land. Colin Morgan and Charlotte Spencer are well matched as the Applebys. At first they share some rather endearing Thin Man-style chemistry, but it is even more impressive to watch their gradual falling-out, with Morgan rather spectacularly putting the “strange” in estrangement. Nicholas Woodeson and Malcolm Storry also add crusty color and gravitas, as the Rev. Denning and estate steward Gideon Langtree, respectively. Cult cinema fans will also appreciate seeing guest appearances from Steve Oram (Sightseers, The Canal) and Fiona O’Shaughnessy (Nina Forever) as the farm manager and village school teacher, both of whom will be caught up in the sinister business afoot. L&D is a smart, literate period production (if you are wondering, it is indeed possible that Appleby might have had a “Ouija” branded spirit board, as early as 1894). The evocative atmosphere nicely fuels the suspense, which builds cumulatively both over the course of each episode and throughout the limited series. 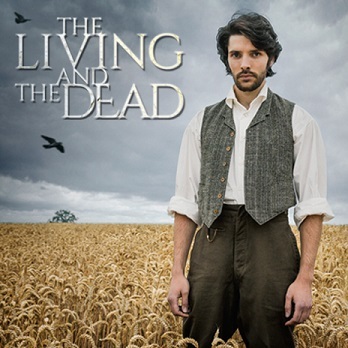 Highly recommended for fans of British supernatural horror, The Living and the Dead premieres this Thursday (10/27), with all six episodes streaming on the network’s digital platforms starting on Friday (10/28).